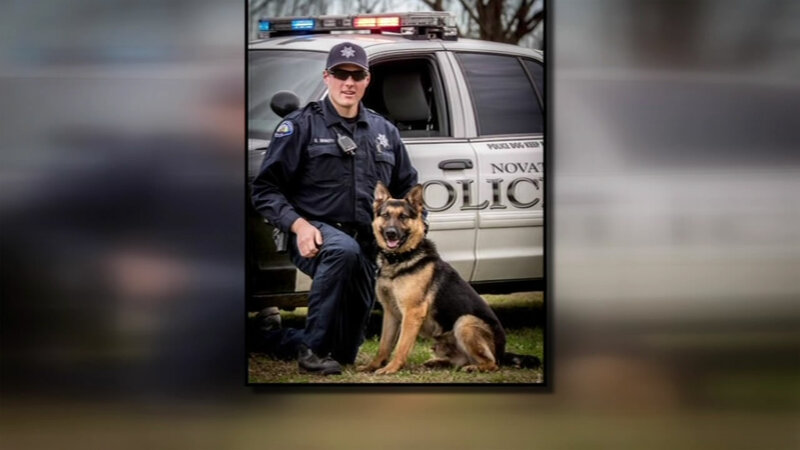 NOVATO, Calif. (KGO) -- All three of Novato's police dogs now have an extra layer of protection for when they help patrol the city. Novato police shared this picture of Koa, the newest member of the force's K-9 team. Koa just received a bullet-proof vest thanks to a charity that works to protect police dogs across America. The 2-year-old German shepherd is trained to track suspects and is learning how to find illegal drugs.